This is an awesome sounding delay pedal! You can hear the dry signal of the Jomox XBase888 in the first section. It's great having it synced. The TimeFactor's display shows you the delay time in note values or milliseconds. In this video the Metasonix TM-7 Scrotum Smasher is annihilating the Analogue Solutions SEMblance monosynth. The LFO of the Moog CP-251 is modulating the Scrotum amount. All of it is running through a Fulltone Tube Tape Echo that's pretty cranked. The first little clip is the SEMblance dry. We're using the Moog MF-107 FreqBox, the Pigtronix AttackSustain and the Mad Professor Deep Blue Delay. The dry guitar runs into the audio in of the MF-107. The oscillator out of the MF-107 goes into the AttackSustain audio in. The dry guitar out (mix all the way down) of the Freqbox into the trigger in of the AttackSustain. The audio out of the AttackSustain to the Deep Blue Delay then to the amp. Moog's tech guru Amos Gaynes shows a couple of the many applications for the MP-201 Multi-Pedal. In this video he does his magic on the Ring Modulator and Analog Delay Moogerfoogers. Here are just a few examples from this incredibly versatile controller, the Frostwave SpaceBEAM. The SpaceBEAM has superior control to other infrared controllers because of it's extensive range. 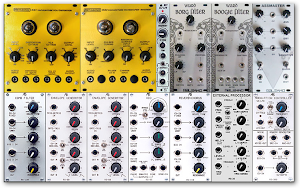 There is an onboard oscillator for great dub sirens and theremin-like sounds. The waveform is variable with optional glide and the range is variable too. The SpaceBEAM works great as a controller for anything with control voltage inputs. In these examples we're controlling the Moog MF-104z feedback amount and the Resonator's low pass cutoff. OCD Version 4 Back in Stock! These incredible overdrive pedals are back in stock! 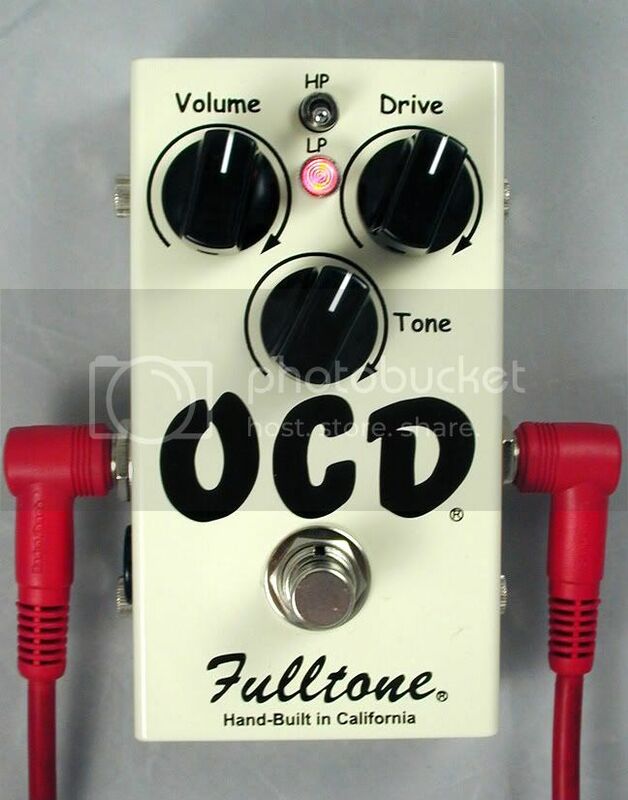 The OCD had a recent update where he improved the tone control. It sounds awesome, just like your favorite guitar tones from back in the day. The OCD now has a red LED and thumbscrews for easier access to the inside! Here is a short demonstration of the great sounding Jomox MBase 01. The analog circuitry is capable of super fat kick drums with amazing punchiness. Word. We're running the MBase into an older DBX-161 compressor with about a 3db gain reduction. The MBase has MIDI in control and an analog trigger in which can trigger the kick using a piezo sensor or similar drum trigger. The first part of the video are some presets we've made. The second part shows how easy it is to edit the MBase 01. Here is a Yamaha CS-60 that we have had in storage since around 1996. It is in exceptional condition. These are normally fairly beat up because of their size and weight. Our friend Duron Kochli is playing it. Vermona DRM1 MkIII in Stock! This incredible analog drum synthesizer module is once again available. We have the regular version, plus the elegant chrome knob version, which really looks great. This is a Prophet-5 (Rev3) that we just pulled from our warehouse. The physical condition is beautiful and, amazingly, after 10 years of non-use, it actually still works nearly perfectly. We will clean and service it as we do all our vintage synths. But for now, here is this classic Prophet-5 played by our friend Duron Kochli. Here is the Analogue Systems rs95 VCO being triggered by the rs200 sequencer. We are running the audio through the rs310 Reverb/Chorus module which is being modulated by the rs80 and rs85 LFO's. You can hear the dry signal at the beginning and end. This really is a fantastic sounding module, full of rich BBD chip analog delay tones. It can do very subtle mono chorus effects to ripping flanger to pleasant ambient reverbs or you can push the feedback(resonance) into swirling oblivion. You have CV input for delay time and wet/dry mix.